Drinking alcohol decreases your mental focus and concentration, but it also destroys your dental health. Alcohol contributes to enamel erosion, tooth decay, gum disease, dry mouth, and oral cancer. In honor of Alcohol Awareness Month, Dr. Young offers these tips to keep your mouth healthy when consuming alcohol. You may be too tired or clueless after getting intoxicated that you forget to clean your mouth before passing out. Alcoholic beverages are often filled with sugars and acids that destroy your teeth. To worsen the situation, alcohol reduces the amount of saliva in your mouth. The dry environment will allow bacteria to feed all night long. Be careful that your excessive drinking habits don’t impair your dental focus. If you’re going out for a night on the town, be sure to brush your teeth beforehand—just in case you can’t remember to do it afterwards. Also, similar to a designated driver, we recommend relying on a “designated hygienist” to help you remember proper oral care in your drunken state. The nominated hygienist should be a trusted friend who wants to help protect your smile. He or she will make sure you drink plenty of water to rinse your mouth before crashing for the night. You’ve all heard the PSA’s that promote responsible drinking habits to protect yourself and the people around you. Dr. Young wants to make sure that you’re also practicing healthy drinking behaviors to protect your smile. The World Health Organization reports that seven to nine alcoholic drinks a day can increase your risk of oral cancer by 15 times. You may need a periodic glass of wine or an alcoholic beverage to help you relax after a long day’s work. 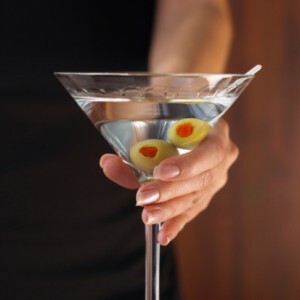 However, Dr. Young recommends drinking alcohol in moderation, and with a meal to help balance your mouth’s pH level. We also suggest finding other methods to cope with stress, anger, depression, and other reasons for drinking. Try taking a relaxing bubble bath or a jog around the park instead of drowning your sorrows with alcohol. Dr. Young can make sure that your drinking behaviors are keeping your mouth healthy. Contact our Lafayette dentist office at (337) 237-6453 to schedule an appointment.